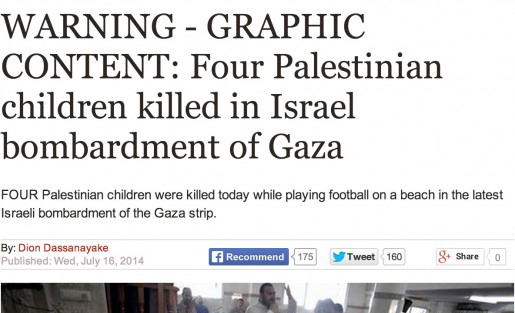 Is Social Media to Blame for the Increase of Graphic Images in Media? A recent headline and image from the UK's Daily Express. Editor’s Note: Be warned that there is a graphic image used in the story to illustrate the way people spread shocking images on Twitter. Social media platforms are the Wild West of publication. Journalists and traditional news publishers are no longer the primary information “gatekeepers” of public discourse; neither are they able to impose their professional publication standards and ethics on social media users and bloggers. Instead, they are co-creators of content in the social media sphere. "Social media means anyone can publish graphic images of war and human suffering, and there is evidence that this reality is having an impact on mainstream news publishing standards." The Sydney Morning Herald’s Tim Elliott has reported on the creeping effect of graphic images posted on social media platforms, citing examples in Time Magazine, the Weekend Australian and The New York Times. Journalists can usefully engage in these debates in social media spaces and, in so doing, they may influence other users. But they can’t control what’s shared, nor demand compliance with professional codes of conduct. Conversely, as participants in social media communities and real-time witness bearers, journalists and editors are not immune from the effects of exposure to the flood of graphic and traumatizing online images associated with horrifying stories like the attacks on Gaza and flight MH17. The onslaught can have traumatizing impacts – impacts familiar to foreign correspondents, war reporters, photographers, camera operators and photo editors. Now, everyone’s a photo editor. And the effect of such relentless exposure to pictures of carnage can involve desensitization, which may mean that it takes increasingly graphic images to cause a strong reaction in a journalist, and by logical extension, mainstream media consumers. This means that we are now a cycle where as journalists, photo-editors and editors we are increasingly exposed to graphic images of war, disaster and human suffering and we are co-producing their distribution with audiences, magnifying the impact. Images may need to be increasingly graphic to be deemed “newsworthy” amid the mass of graphic content online. Now that journalists are participants in the mass social media audience, we are equally exposed to graphic content and can become desensitized to it, potentially lowering the editorial bar for publication. We have become participants in the co-production and distribution of graphic images on social media sites (i.e., sharing of original content and other users’). And if we’ve shared graphic images on social platforms (where publication standards are viewed as lower) the flow on effect may be for the bar to be lowered in the test for publishing graphic content on the websites, TV news programs and in the newspapers of our mainstream media employers. This image of a man with a missing limb appeared in my Twitter feed during social media training I conducted at The Age last year, in the aftermath of the Boston Bombings. It shocked me at the time and I led a discussion with course participants about the implications of uncurated and unmediated war and disaster photography shared on social media. We concluded that we wouldn’t have published the image in a newspaper. But after what I’ve witnessed in my feeds from Gaza and Ukraine in the past few weeks, and what I’ve seen cross over onto news sites, this image no longer seems so shocking and I wonder if it would now find its way, uncropped, onto front pages of mainstream newspapers and their websites. 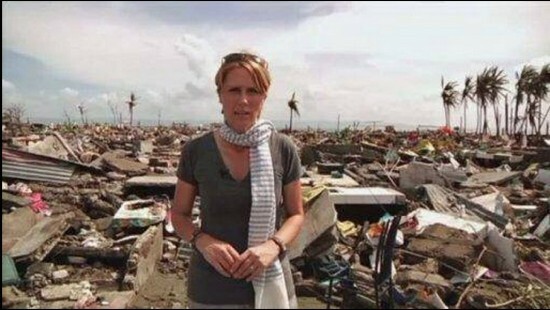 Foreign correspondent Zoe Daniel has reported wars and disasters in Africa and South East Asia for the Australian Broadcasting Corporation. ABC photo. Social media means anyone can publish graphic images of war and human suffering, and there is evidence that this reality is having an impact on mainstream news publishing standards. But it’s important to remember that we all still have the choice to look away. Correction: A previous version of this story misidentified Suzanne Moore of the Guardian. This post first appeared on the World Editors Forum’s Editors Weblog. World Editors Forum and WAN-IFRA Research Fellow Julie Posetti is an award-winning journalist and journalism academic who lectures in broadcast, multimedia and social journalism at the University of Wollongong, Australia. She’s been a national political correspondent, regional news editor, TV documentary reporter and presenter on radio and television with the Australian national broadcaster, the ABC. Her academic research centers on the intersection of journalism and social media. She is writing a PhD thesis on “The Twitterisation of Journalism” and you can follow her on Twitter here. In the days when TV channels joined forces with associate networks who would pool their feeds, uncensored pics would be part of the feeds. It was up to the editor to decide. The truth should always been known. Even if the image of it makes you uncomfortable. If you can’t take it, read the comics. The truth should be known? By us? The American public? Wtf are u imagining the average facebook user to do about it? We’re already aware. Okay, great. Now what? Are you expecting the American population to unite & bang fists on the White House doors because it’ll do any good? Do you think several citizens will buy plane tickets & help you fight back against yet another never ending exhibition of pointless, religiously veiled barbarism? Bullsh**! All it’s coming down to these days is attention seekers who get off on making audiences go “wow!”, & “ooh, & ahh”. It’s exploitative, disrespectful & merely a morbid & juvenile form of showing off so that others will take your need for attention seriously without knowing it, & even better, apologizing sympathetically for it! There’s been enough representation of blown up kids already & beheadings. Its done nothing but desensitize the public as far as their tolerance for indecency, & serves also as free advertising for the terrorists’ cause, spreading both their extremely dedicated campaigns, & assisting any & all other forms of media in promoting paranoia for the American public, ultimately, whether intentional or not, adding company to a misery you’re not even involved with! If you’re living here with relatives there, then hey, condolences. Sincerely. If you need a friend to confide such woes in, I’ll be there for you, but don’t even think for a second that such intensely graphic posts are in any way justified! It’s vulgar, invasive, & serves NOTHING! I’d also like to add, for clarification, that I wrote this in reference to ppl who I’ve seen post graphically disturbing pics on facebook specifically, & as such, intend it specifically towards those particular folks & any others of relevance.